The AVENGERS: Ready to Knock Some Heads! 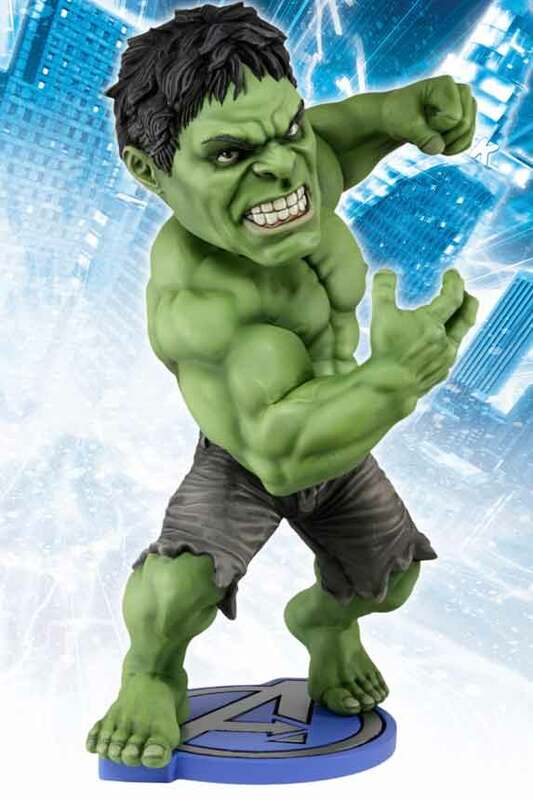 NECA Marks the Avengers Movie Release with New HeadKnockers! You are here: NECAOnline.com » Blog » News And Announcements » The AVENGERS: Ready to Knock Some Heads! Sure, the idea of “clobbering time” is pretty much trademarked by the Fantastic Four, but we all know that Joss “The Boss” Whedon’s new movie version of Marvel Comics’ classic The Avengers is going to be the biggest, most action-packed superhero thriller yet. We’re not sayin’ it’s going to make X-Men look like The Sisterhood of the Traveling Pants — we’re just sayin’. The movie’s out tomorrow, May 4! So let the summer blockbuster season officially begin! As ever, NECA is ready for action. We’ve got a new collection of Avenger HeadKnockers shipping in the middle of the month that no Avengers fan should go without. Why choose one when you can assemble them all??? 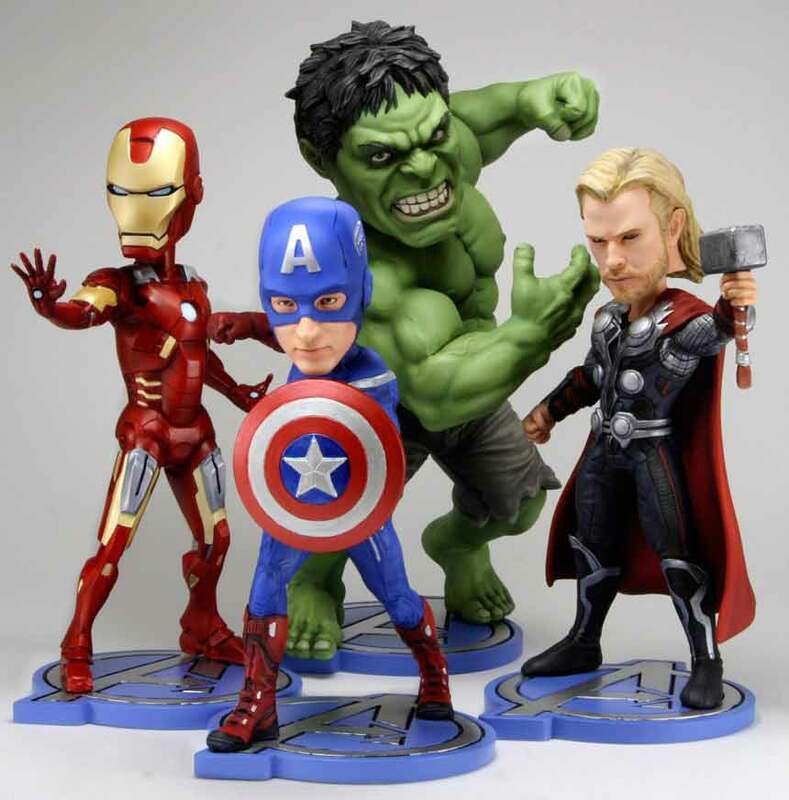 For starters, we’ve got all-new original sculpts of Captain America, the Hulk, Thor and Iron Man for your Avengers fix. 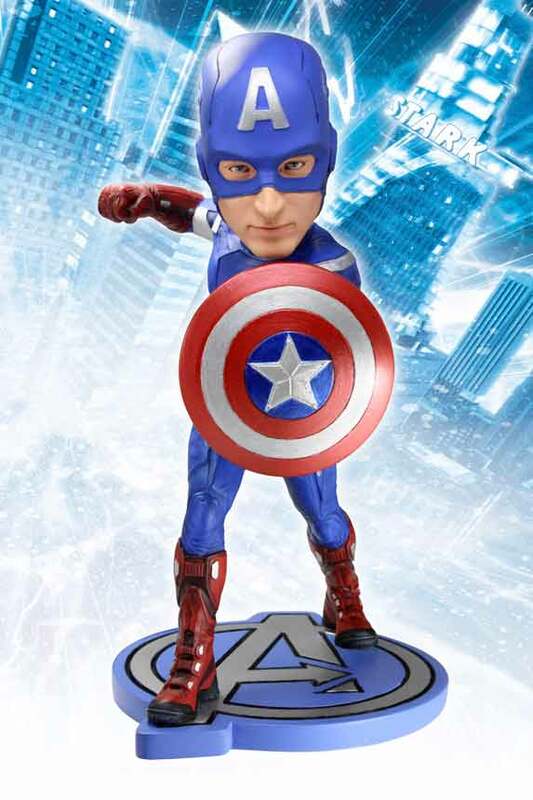 Each one comes on an Avengers logo base, and has movie-accurate costuming and facial features. Just take a look at that Hulk! Can’t you just see Mark Ruffalo in there? 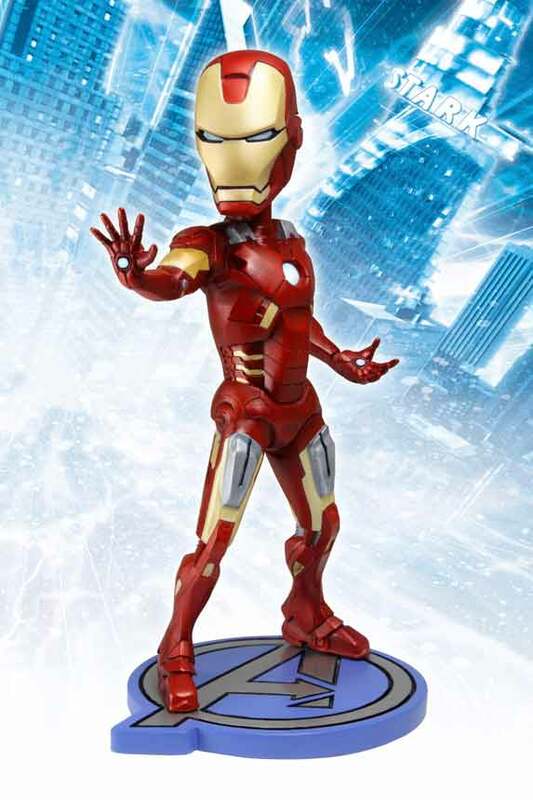 And chances are good Tony Stark’s got his Black Sabbath shirt on under that Iron Man costume, so it’s all the more rockin’ for your buck! You saw Iron Man, Thor, The Hulk, Captain America and now it’s time for these worlds to come together in The Avengers! Make sure you check out the trailer below! Our amigos over at WizKids gave away free Avengers Movie HeroClix starter sets through an Avengers Facebook contest that got a lot of activity. Keep an eye on those guys for other cool giveaways. 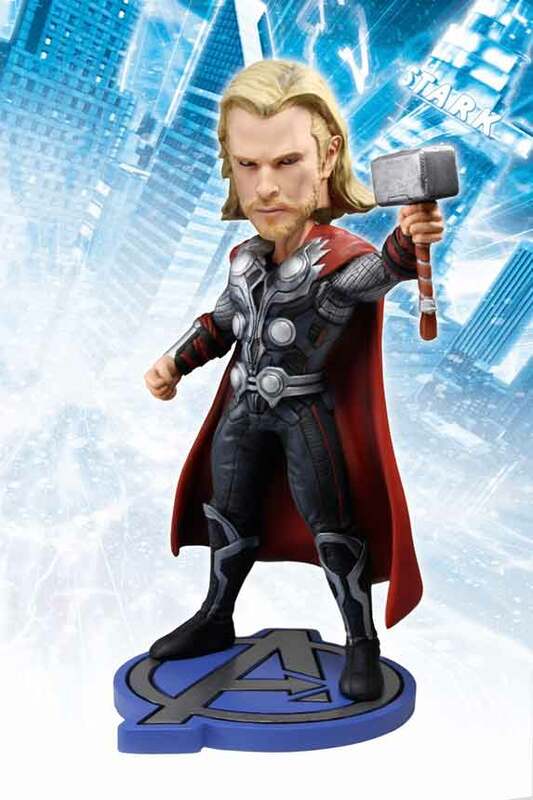 While you’re there, don’t forget to take a look at the amazing Avengers Movie HeroClix collection they’ve got on offer. Last year, Whedon teamed with Supersize Me director Morgan Spurlock for the documentary Comic-Con Episode IV: A Fan’s Hope, which took a look at the phenomenon of Comic-Con and how it’s become the annual go-to event for the entire entertainment industry. It came out last month, and is currently available On Demand via Amazon Instant Video. Highly recommended viewing, obviously, and it just might tide you over these last few hours until The Avengers hits theaters tomorrow! Hit up the Comic-Con Episode IV: A Fan’s Hope website and make sure to tell them we sent you. Your new Avengers HeadKnockers will enjoy it too.